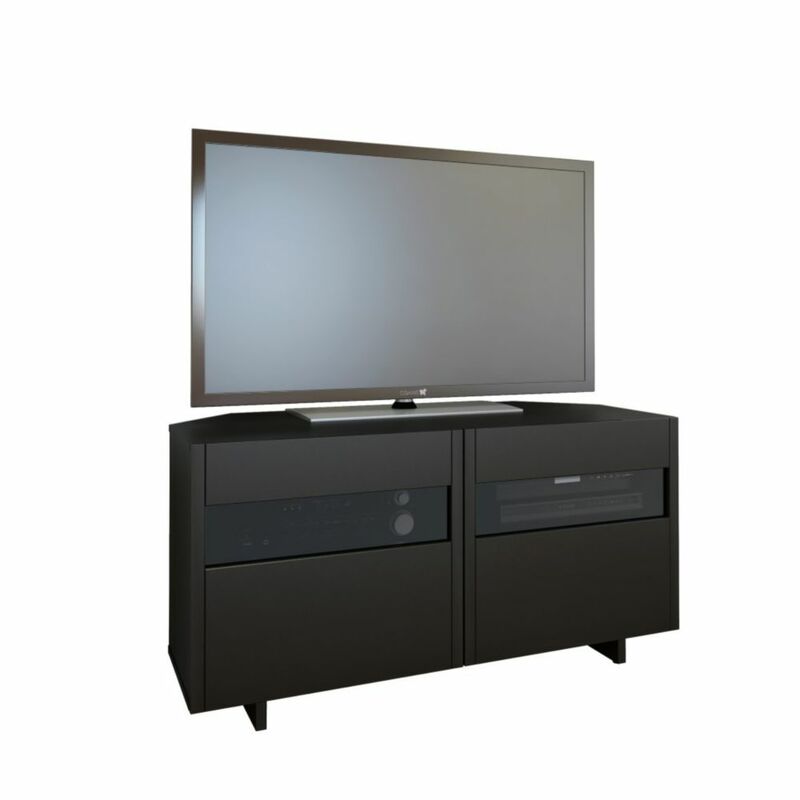 This Nexera TV stand is sure to fit right in regardless of your floor space. Easily support your 41-inch to 50-inch television with this black free standing TV stand. This is the best place to store your movies, gaming consoles, and speakers. The Paisley entertainment collection from Nexera is distinguished by its clean modern lines, high-end designer look and contrasting volumes. The Paisley 72-inch TV stand features 2 storage drawers and open shelf space for your components and decorative pieces. Vision 47.75-inch x 24.25-inch x 20.5-inch TV Stand in Black This Nexera TV stand is sure to fit right in regardless of your floor space. Easily support your 41-inch to 50-inch television with this black free standing TV stand. This is the best place to store your movies, gaming consoles, and speakers.